Monitoring is just the first step of many when it comes to creating highly reliable systems. SRE teams can leverage monitoring to understand how users interact with a service, how the system reacts to different stressors, and where reliability concerns may arise. A holistic approach to SRE relies on a deep understanding of internal workflows, end-user behavior, and system capability. Through real-user and synthetic monitoring, you can tackle a number of SRE concerns. While synthetic monitoring and real-user monitoring (RUM) are just two of the numerous methods used to track service performance and reliability, they’re necessary tools for improving both end-user experiences and system functionality. Combined, real-user and synthetic monitoring create a system for understanding the overall reliability of your applications and infrastructure. So, let’s look at what synthetic and real-user monitoring are, and how SRE teams are using them to build reliability into the services they create. Synthetic monitoring, sometimes called directed monitoring, is a technique for monitoring applications and services by creating artificial users and simulating user behavior in your product. Real-user monitoring is exactly as it sounds. RUM is a method of web monitoring used to continuously track every transaction and action taken by every end user working in your application or service. As you can ascertain, real-user monitoring and synthetic monitoring work hand-in-hand. While real-user monitoring is more reactive than synthetic monitoring, the data provided by real people shows you exactly what users expect in your service. Then, with synthetic monitoring, you can proactively test certain situations and outcomes in your infrastructure to see how the system reacts under pressure, and more importantly, the way users experience these outcomes. SRE teams move from a reactive approach to fixing problems after they occur to building reliability proactively by combining the insights from real-user and synthetic monitoring. So, I wanted to quickly provide a few examples of monitoring solutions that help SRE teams take on synthetic and real-user monitoring efforts. Each of the tools listed above can provide some level of both synthetic monitoring and real-user monitoring. In a centralized tool with the capability for both synthetic and real-user monitoring, you can combine the insights from your monitoring data to take actionable steps toward improving application performance and reliability. Holistic SRE depends on a constant drive to improve end-user experiences, system capabilities and functionality, and internal workflows. So, let’s look at how synthetic monitoring and real-user monitoring can help your team make this a reality. Real-user monitoring helps you understand how people are experiencing your website or service. You can track page load speed, application responsiveness, uptime, and other errors. By collecting this data and presenting the insights to the team, you can prioritize development and incident management workflows to improve end-user experiences. You can track the actual behavior of the people using your service and use that information to improve the product in key areas. While real-user monitoring can help you test and understand your system’s capabilities to an extent, synthetic monitoring really shines for this part of SRE operations. You can run stress tests and load tests on your infrastructure and application to see how the technology responds to increased traffic, ETL lag, or lack of responsiveness. You can simulate user behavior to find pain points in your service and proactively address them before you experience a real incident or failure. This way, you can better understand the way your service functions and identify potential risks in the system, helping you prioritize future workflows. Combined, real-user monitoring and synthetic monitoring create deep visibility into the overall reliability of everything you create. You can understand how users are currently using your product, how they expect it to work, and run tests against this data identify how your system will respond under pressure. With these insights, you can better prioritize the product roadmap, build internal workflows to influence reliability, and build better customer-centric services. Monitoring is simply the collection of important system and user behavior data. But, it really means nothing if you don’t know what to do with that information. Even if you’re armed with abundant synthetic monitoring and real-user monitoring tools, you need to be able to use the data to improve workflows and development processes. Through constant data collection and experimentation, you can continuously improve incident management, software development, and bake reliability into everything you build. SRE teams need to combine the insights from synthetic and real-user monitoring solutions to understand potential weaknesses in the system and build failover measures and backups when necessary. Not only does synthetic monitoring and real-user monitoring help with SRE efforts, but it helps teams build customer-first features in future sprints. Centralize synthetic monitoring, real-user monitoring, and alerting in one incident management solution. 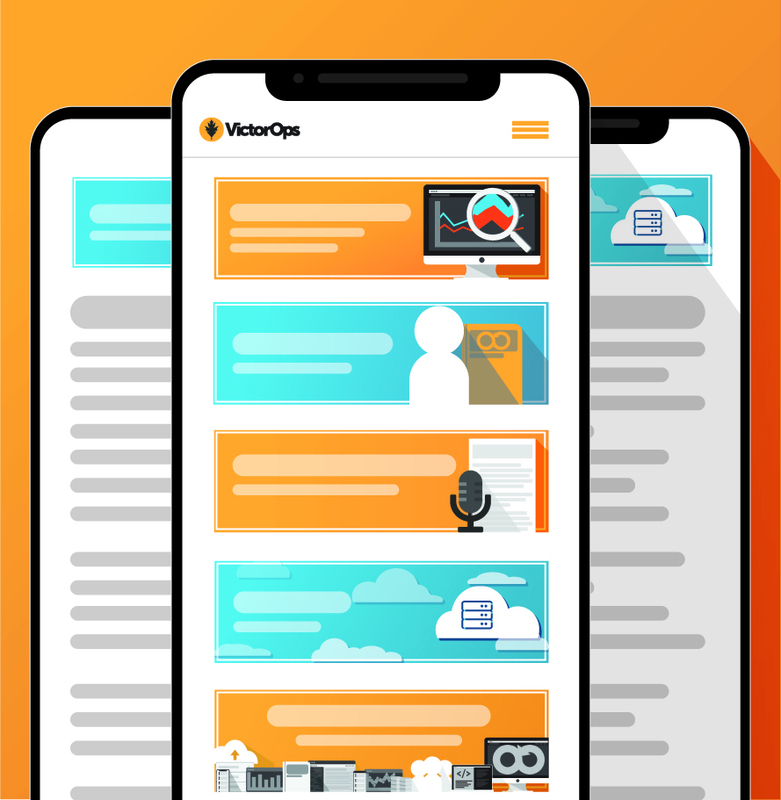 Try the 14-day free trial of VictorOps to start integrating monitoring and alerting tools with on-call schedules and collaboration tools–all in one place.